Section 18 of the limitation act covers acknowledgement of debt and thus the fresh start of the limitation period. 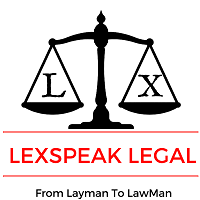 It is a tool which always plaintiff uses to say that his suit is within the limitation period as there is an acknowledgement as per s.18 of limitation act and fresh limitation is started. But what constitute an Acknowledgement which is under S.18 of the limitation act and starts the limitation period afresh. let us look at this example. A lend money to B in year 2004, which is also due in 2004 and B acknowledge in writing in Year 2007 that he has money to pay to A, ordinarily the last date to file the suit is in the Year 2007 but due to acknowledgement within the year 2007 that the last date to file suit becomes 2010.
it should be in writing, oral acknowledgement is inadmissible. The acknowledgement must be made within the limitation period as prescribed by the act. company director is a valid acknowledgement. 5. The wording of acknowledgement must be admission of debt, denial of its payment is of no consequence. 6. The trick is to have an undated acknowledgement signed by the debtor to prevent delaytory tactics of debtors.